I have an exaggerated sense of fashion and style, and it is pretty much evident in what I wear, do and endorse. This sense of overdoing a look makes me love jewellery more than it should be loved. I cannot begin to tell how many times I have had to explain myself after I am back from a shopping spree and all my bags have accessories and colourful junk. Speaking of exorbitant styles, I have had my eye on Amrapali Jewels for over two years now. Quite frankly, it was when I saw Kirron Kher rocking a gorgeous neckpiece over her Gaurang saree so masterfully. Since then, it is with religious dedication that I keep up with their collections and if I had the means, I would own each piece. Alas! I had no golden goose for a pet but hey, a girl can dream! Here it is, my dream jewels from Amrapali. My little bejewelled bucket list, you may call it. I would never wear a Passa really, I am more of a Maang-Tikka person but this one I would totally wear. 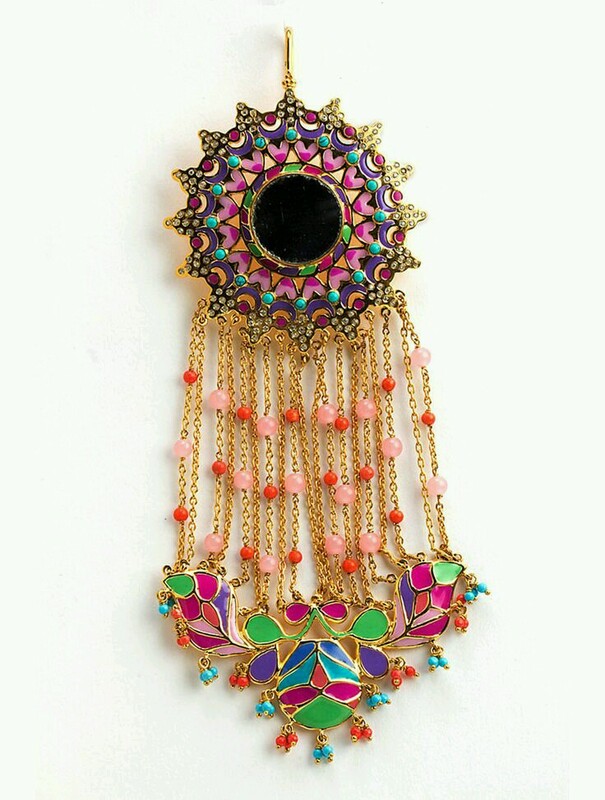 A part of the collection that Manish Arora designed for Amrapali, it speaks colour and elegance in one stroke. Notice the enamel work in the head of the passa! Stunning, right! 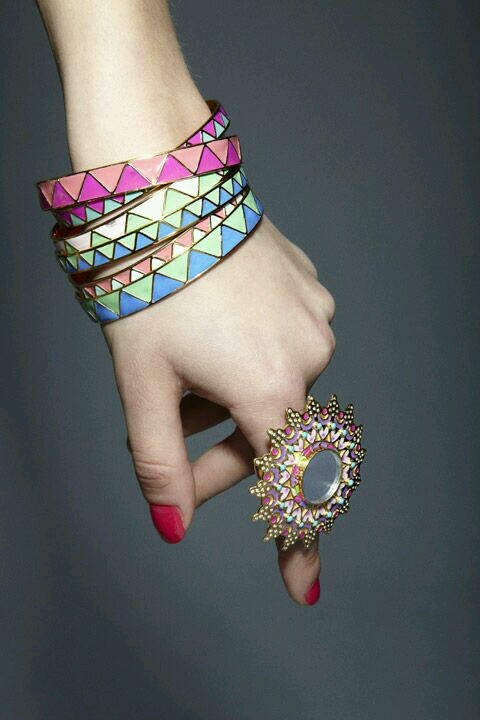 Also a part of the Manish Arora Collection for Amrapali, the ring is my showstopper. What I also love about the bangles are how effortless they are to style even it is with a casual day outfit. Colour speaks to me and my vain self is satisfied with that little mirror element in the ring. Truly, a masterpiece. 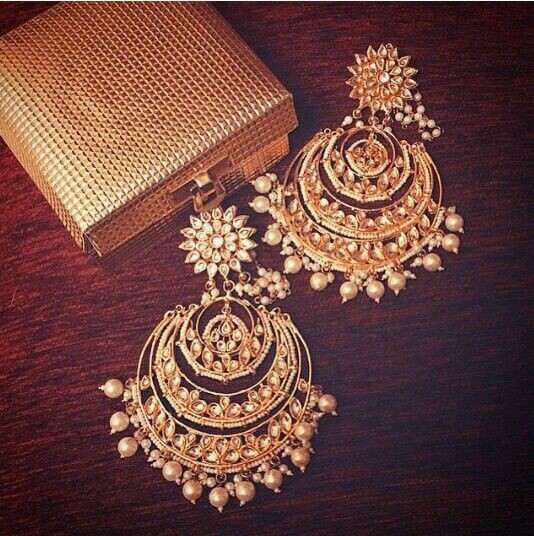 Every woman MUST own a royal pair of Chandbaalis. It is a wardrobe must-have. And how perfect are these earrings to fill that void! Statement Necklaces are difficult to adorn really, especially if you have to make the decision between making your outfit speak for itself or the jewellery. I would totally let this necklace steal all the limelight if I ever laid my hands on them! 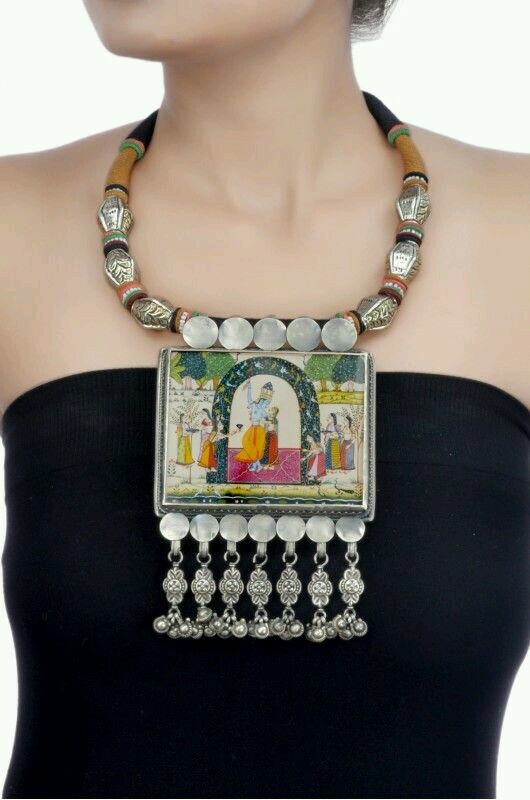 The silver, the radha-krishna scene and the sheer size and make of this necklace is totally me! LOVE! When Tribe by Amrapali launched the Chandrika collection a few months ago, it was like Christmas! I saw these earrings in their release post on instagram and I swear, it was love at first sight. I am literally saving up to buy these. Unlike a lot of the jewellery I love, this one here is devoid of a lot of colour but the elaborate design makes up for it, and how! In Marwari traditions, 3D bangles like these with mounts on the periphery of the bangle are called Gokru (pronounced Gawk-roo). They are pretty much worn on every occassion. 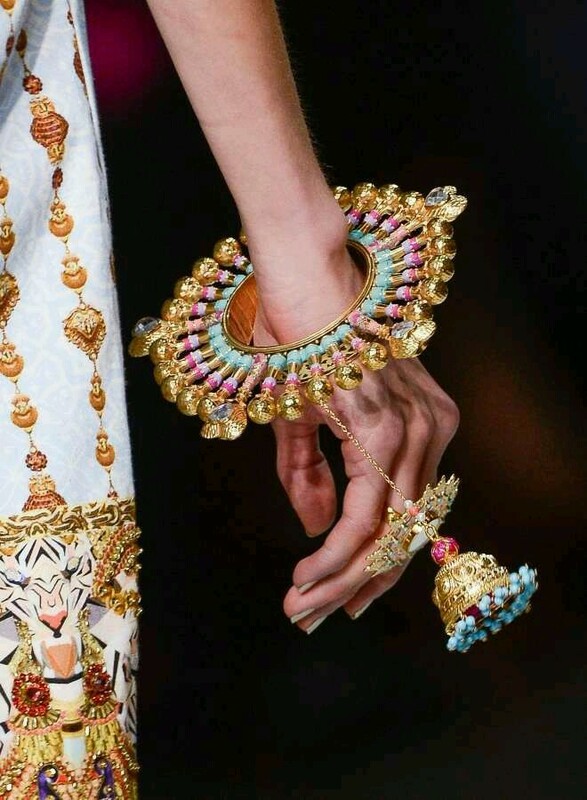 Manish Arora’s take on the traditional Gokru with a Jhumka twist and the induction of colours through enameling is pure genius. Need em! The list could seriously go on, but I have my heart REALLY set on these for now. More additions in later posts. If you have a favourite, not just from Amrapali, do let me know or link them to me in the comments below. I would love to check them out! Next postYour DNA speaks Skin and here is how!